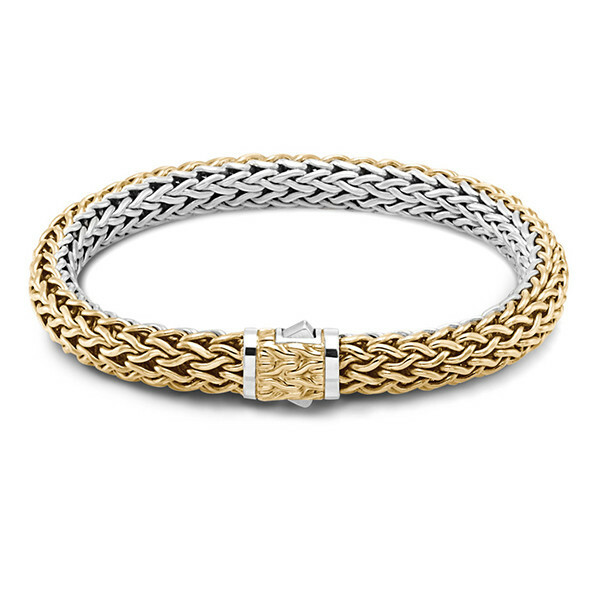 For a piece so versatile you'll be able to wear it always, try this fabulous John Hardy reversible bracelet from the Classic Chain collection. One side of the bracelet is scintillating sterling silver while the other is gorgeous 18kt yellow gold. The decorative station sports the two-toned look and doubles as the bracelet's clasp. You'll just love this John Hardy piece for any outfit!